We celebrated the day of St. Mary Magdalene recently, and I would like to take the time today to remember some of the lessons that we can learn from her life. 1. Jesus can set us free from our past. The Scriptures tell us Mary Magdalene was possessed by seven demons (Luke 8:2); but Jesus set her free from her demons and acknowledged her as one of her important followers. 2. Jesus can forgive the sins that men find unforgivable. St. Mary Magdalene was mocked, looked down upon and condemned by many people. She continued to believe in Jesus’ promises–That no matter what sins we have in our lives, God is ready to forgive us. Her life teaches us that there is no one who is beyond the pale of his redemption. 3. Despite of all the sins we have committed in the past, when we surrender our lives to God, He will use it mightily for his purpose. Mary Magdalene, a woman with a dark and sinful past was the the first witness to Jesus Christ risen from the dead. From a sinner, God turned Mary Magdalene into a great witness of his love. Ultimately, St. Mary Magdalene’s life teaches us that there is no one whom God cannot redeem and use for his purposes. What other lessons from St. Mary Magdalene have you learned? If you asked most people today if they thought they were capable of being a saint they would likely say something along the lines of, “not a chance”. However, is it the mentality that prevents people from achieving greatness? An article I found today points out that may be the case, at least to an extent. The post is featured on Catholic Sistas and is titled, “The Road Not Take…A Path to Sainthood”. In the post the author Michelle talks about how, “Saints are people who have tried their hardest to do the will of God, to become holy, to live a good life, and to be virtuous”. This is how most people view saints, and that is a correct way to look at it. There are saints that ended up being like the description above that didn’t begin that way. A lot of saints have interesting stories about their conversion from other religions or non-belief. Some saints even persecuted other Christians before they repented. People should remember that they have a new chance every day to live their life for God. This is something that goes largely overlooked, and I think the post brought my attention to that. 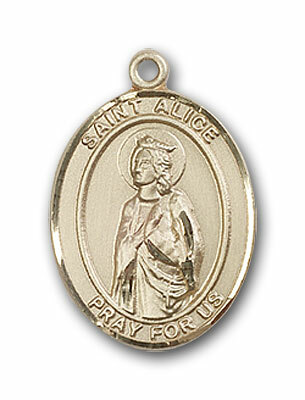 All Saints Day was November 1, but that doesn’t mean you have to stop thinking about the saints. In fact, if you have kids I would even encourage you to keep the saint in mind all month long. A recent post on Catholic Family Fun gave me this idea. The post was titled, “Fun for the Month”, and was about ways to keep your family involved and learning about the saints all through November. The author Sarah has some awesome ideas which include having your kids trade saint cards, designing their own saint place mats, feast day cards, family litanies, and other great ideas as well! What ways will you utilize to teach your children about the saints? There will be a vote this week during the US Bishop’s General Assembly to advance the cause for Dorothy Day’s canonization as a saint. Cardinal Dolan is the leading advocate for the cause, and will make his case to the other bishops at this week’s meetings. Dorothy Day has already been given the title “Servant of God”, which happened in 2000 when Cardinal O’Connor first advocated her canonization. Day passed away on November 29, 1980 and was quoted during her life for saying, “If I have accomplished anything in my life, it is because I have not been embarrassed to talk about God”. To learn more about the life of Dorothy Day check out the Biography of Dorothy Day featured on Catholic Worker Movement. We will without a doubt be hearing more about this development soon and will keep you posted! Ever wonder why Saint Leo was great? Saint Leo the Great was Pope Leo I before he passed away. During his time as pope, he dealt with a lot of different issues in the Church. The Church was having a difficult time with pagan religions during his time, the late fifth century, and Leo handled the issues very well. The problems were coming from Pelagianism and Manichaeanism, and Leo made them all renounce their paganism before they would be allowed Communion. Leo also established the idea that Christ and his teachings were of man and of God. This was important because Pelagianism and Manichaeanism were teaching otherwise at the time. Saint Leo the Great also helped greatly to establish the papacy into the position we know it as today. Barbarians were about to attack Rome during his papacy, and Leo convinced Attila to not attack the city. Amongst all these other things, Leo is a Doctor of the Church. So as you can see, Saint the Leo the Great truly deserves his title. To learn more about Saint Leo the Great read this post on Saints and Angels. Have you ever wondered where the tradition of the nativity scene originated? I have often thought about how this began and looked into it recently. I found a post on US Catholic that explains it all quite well. The post is actually titled, “Who Invented the Nativity Scene?”, and it answered all of my questions on the topic. The first nativity scene was created by Saint Francis of Assisi in 1223. The post goes through the entire history of the nativity scene starting in 1223 and moving towards modern day. Pope Benedict XVI recently named two new doctors of the Church. Both were already recognized as saints by the Catholic Church. The two new doctors are Saint Hildegard of Bingen and Saint John of Avila. While the two were already considered saints of the Catholic Church becoming a doctor of the Church makes them part of a much smaller group. There are many saints, but only 35 of those saints are considered doctors. These two are now doctors of the Church because their doctrines have benefited the community very much. To learn more about the two new doctors of the Church check out this article titled, “Meet the Church’s Two New Doctors” featured on Catholic Exchange. 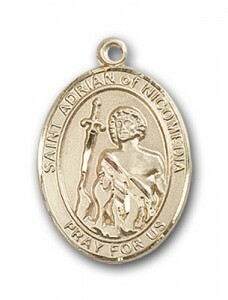 Saint Adrian of Nicodemia was also known as Saint Hadrian. He was a pagan, as many of his time were, and he served as an officer at the imperial court of Nicodemia. At the time of the Roman Empire, Christians were often ridiculed and persecuted for their belief in one God. Pagan belief centered on faith in many gods. Saint Adrian was originally a pagan but was not particularly religious in any way. One might ask how a man of little if any faith at all went from pagan prison guard to Christian saint. It was a meeting with a group of persecuted Christians that would change Saint Adrian and ultimately lead to his martyrdom. As a prison guard, Adrian would be in charge of watching over a group of prisoners. One day, a group of Christians that were being tortured and marked for execution came under his guard. At first, he thought they were silly, devoting their lives to Christianity and sacrificing their lives for a belief in one God, that would get them nowhere. He decided to ask them why they were so ready to sacrifice their lives for Christianity. They responded by saying, “Eye hath not seen, nor ear heard, neither have entered into the heart of man, the things which God hath prepared for them that love him” (1 Corinthians 2:9). These words, and the courage that this group showed, so impressed Saint Adrian that he publicly declared himself a christian. His immediate imprisonment followed, and he was excruciatingly tortured along with the others. He was then put to a horrible death, having his limbs cut off one by one, and he was eventually beheaded. As the Roman soldiers began to collect the remains for burning, a violent bolt of lightning came down and struck many of them, the rest went fleeing. Upon hearing this, Christians flocked to the site of Adrian and the other Christians remains and gave them Christian rites and a proper cremation. They were so moved by these events that they made Adrian a saint pre-congregation, which simply means he was made a saint before the modern day system was set up. Saint Adrian is known as the patron saint of prison guards and soldiers, as well as arms dealers, butchers and communications phenomena. For many ages he was the chief military saint of Northern Europe. He is especially revered in Flanders, Germany and in the north of France. He is often represented as being armed with and anvil in his hands or at his feet. The feast of Saint Adrian is celebrated alone on September 8th in the Roman Catholic Church. However, in the Eastern Orthodox Church he is celebrated on September 8th along with his wife, Natalia, who also converted to Christianity along with Adrian. The events leading to Adrian becoming a saint are questioned historically. It is believed that there may have been two Adrians that suffered martyrdom in Nicodemia around the same time, one under Diocletian, and one under Licinius. Whether or not the story is completely accurate it serves as a story of inspiration for all Catholics and Christians. Saint Adrian was so moved by the courage of Christians and the love he felt from God when he opened his heart to Him. He was not afraid to die, and proudly professed his faith. He knew God would be there with open arms to welcome him into the kingdom of Heaven.